Vittala temple complex is located two kilometers to the east of Hampi bazaar and is the most magnificent creation of Vijayanagar Empire. The “Stone Chariot”, which we can see on this photograph, is the main attraction of the complex. 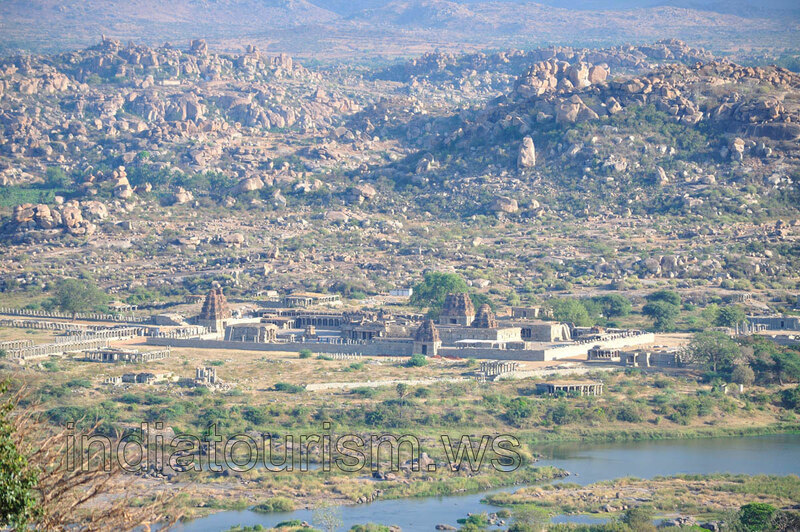 Tungabhadra river flows along the one side of complex, while the other side is surrounded by the attractively unusual hills of boulders. Here is such a great view of the complex you can observe from the Anjanadri hill where the Monkey temple is located.